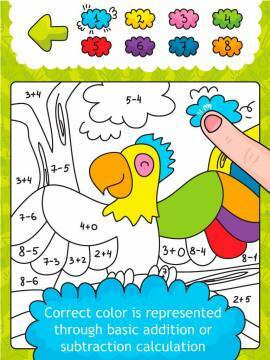 What it is: An educational coloring app. 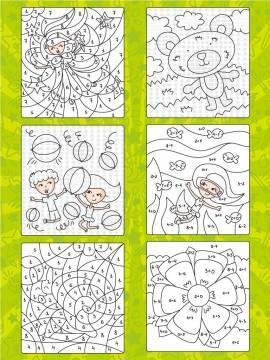 What you do with it: fill the areas with color to complete the pictures. 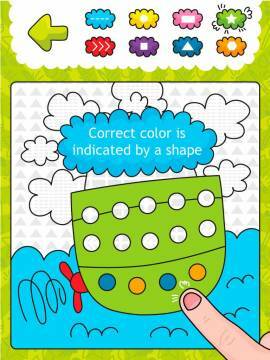 To pick the correct the color, first you need to match the shapes or numbers in the color picker with the shapes or numbers in the areas of the picture that you want to fill. 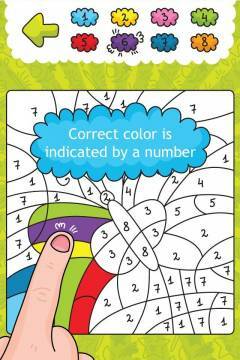 In the most advanced mode you will be asked to add or subtract numbers (from 0 to 9) before you can match the colors (e.g. 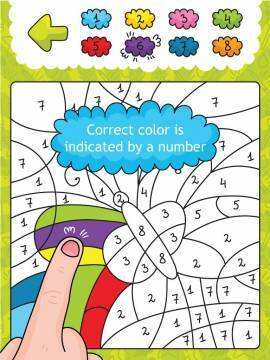 first you solve 5-4=1 and then you pick '1' as the correct corresponding color). 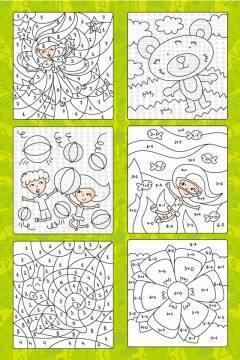 There are 36 coloring sheets divided into 6 themes (nature, animals, transport, people, fairy tale and seasons). 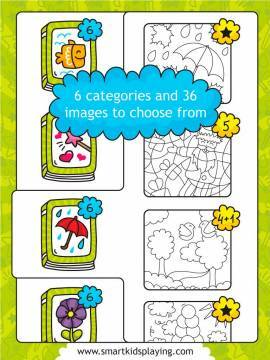 What we liked: very interesting concept, easy navigation and operation, visual hints, high quality sheets/contours, extra educational value (matching, numbers, shapes), overall quality of the app. What we didn't like: partially completed pictures are not saved (every time you start from the beginning). 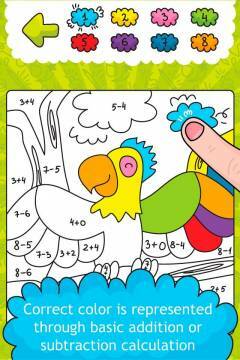 For more educational value numbers and shape names could be read out when touched. No spoken instructions. You can't turn off the sound background. For some kids the addition/subtraction mode can be a bit confusing (you just add numbers but the corresponding colors are not not mixed). 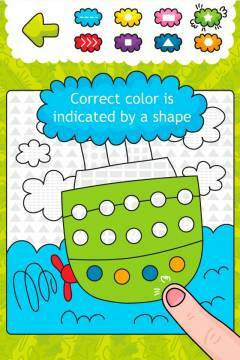 Bottom line: an easy and fun to use coloring app with some educational twist.